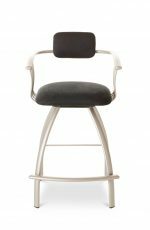 Available in a variety of powder-coated finishes including almond, black, clay pot a rust color, hammer white, metallic, oak speckled, sandstone, silver vein, and more. 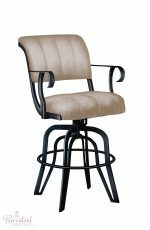 Available in a variety of comfortable fabric and microfiber colors including black suede, celery light olive color, cherry suede, copper, crocodile black, mica camel/light beige, moss taupe and black crocodile pattern, and more. Available in a variety of wipe-off-ready vinyl including amarillo cream sand color, amarillo flame apple red, bark, black, burnt rose cranberry/wine color, chocolate with gold football stitch, deep dark chocolate brown, crema cream color, gris nickel gray, hunter green, navy, silver, white, and more. 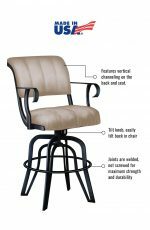 We also accept C.O.M. (customers own material) if you’d like to send in your own fabric or vinyl, which allows you to use any color or pattern on our stools or chairs. 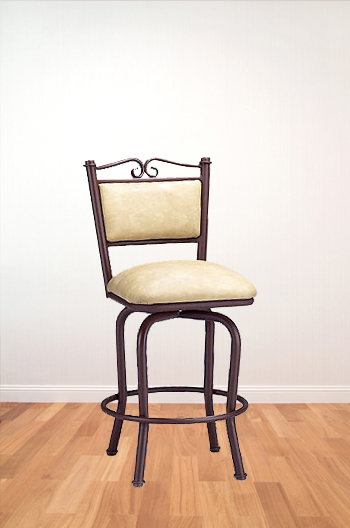 Have a fabric you love? 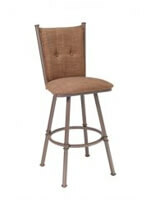 Lisa Furniture will upholster your stools with it. 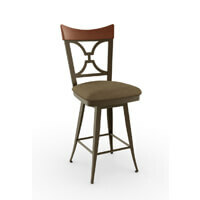 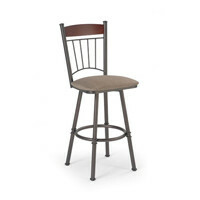 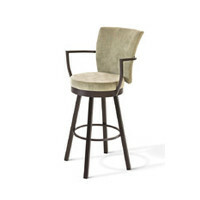 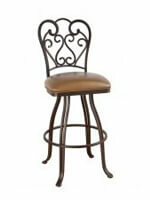 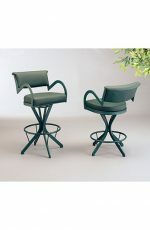 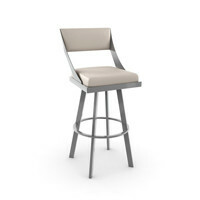 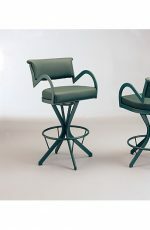 • For stools with padded seats and padded backs, you will need 1.75 to 2 yards per stool. 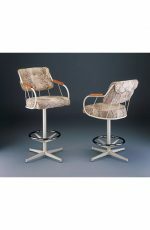 Please make sure this is an upholstery fabric or vinyl. 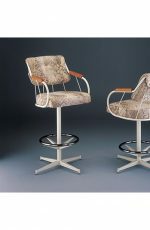 Unfortunately, Lisa Furniture cannot upholster a leather. 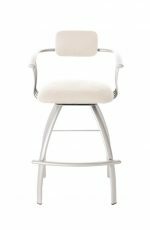 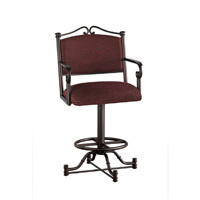 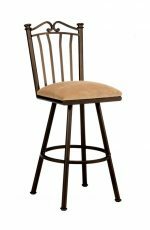 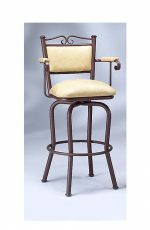 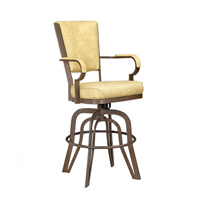 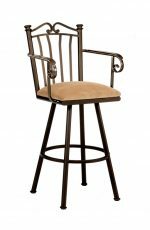 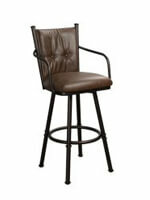 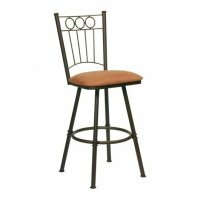 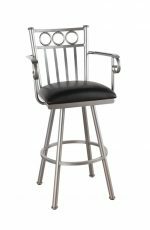 Family owned and operated company founded in 1983, Lisa Furniture Corp. offers top of the line bar stools, metal kitchen dinette sets and counter swivel stools, bistro sets, pub tables and billiard barstools all made in the USA.